110 Fitness is the expansion of the Rock Steady Boxing South Shore program that has been running successfully since August 2016. Rock Steady Boxing South Shore is a physical therapy based non- contact, intense boxing fitness program designed to improve function, quality of life, strength, flexibility, and balance while reducing, reversing, and delaying the symptoms of Parkinson’s disease. Through the success of Rock Steady Boxing South Shore, we realized the potential to not only serve the Parkinson’s community better but all people struggling with disease or a developmental or physical disability. We are thrilled to make this dream into a reality to help better serve all people! Brett is passionate about adaptive fitness and inspiring the best in everyone he meets. The mission of his wellness design is to set a new standard in the “fight back” against Parkinson’s through holistic and fitness based approaches as well as sharing his exceptional training and conditioning experience with able-bodied adults and children limited by disease or disability. Brett has worked in the fitness industry for 24 years with extensive experience in kickboxing, boxing, spinning, rowing and strength and conditioning. He is the Head Coach of Rock Steady Boxing South Shore and is the strength and conditioning coach for world-class boxers and Olympic athletes focusing on injury prevention and rehabilitation. Additionally, Brett is a licensed physical therapist with 23 years of experience. He has owned and operated Boston Orthotics, Inc. for the past 15 years. Brett was also an adaptive sports coach at New England Disabled Sports for 18 years. Brett is a U.S. Army veteran and is proud to have served as a special operations combat medic. 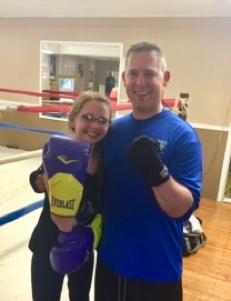 Brett is also certified in Concept 2 Rowing, Pedaling for Parkinson’s, SCW Boxing Fitness, CPR/AED, and is a licensed boxing second in the state of Massachusetts. Besides being an avid dancer growing up, Anna always considered herself someone who worked out “casually”. She’d go for a casual one to two-mile run and go to the gym occasionally, never fully understanding how to push herself. Then in her late twenties, Anna found her “fitfam” who helped transform her into the athlete she is today. 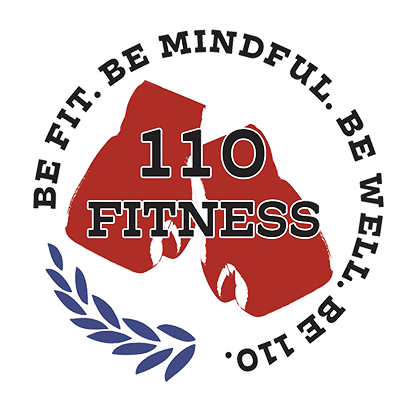 Fitness woke her competitive spirit and she has no desire to look back, always looking for the next challenge and more ways to improve both physically and spiritually. Anna truly believes that fitness, health, and wellness are a way of life. Anna had the privilege to run and complete the Boston Marathon as part of Team With A Vision, a group of both sighted and visually impaired runners who raise money and awareness for the Massachusetts Association for the Blind and Visually Impaired. Anna also guides visually impaired runners in marathons and half marathons. 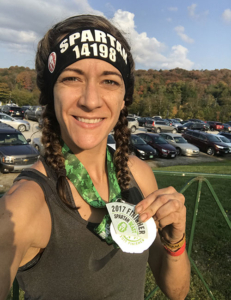 She is an avid obstacle course racer and has run Spartan races including completing the Spartan Trifecta. Anna has been involved with Rock Steady Boxing South Shore since its inception in August 2016. She is a Certified Personal Trainer through the American College of Sports Medicine and received her coaching certification for Rock Steady Boxing. Anna is also certified in SCW Boxing and Balanced Athlete Level 1. She is currently in pursuit of her 200hr Registered Yoga Teacher certification. Mike Showstack is a thirty-year student of Shaolin Hung Gar Tiger-Crane Kung Fu and Yang Tai Chi. He was the senior student at the Chung Wah Center in North Quincy. During his tenure, he assisted his teacher, Master Yon Lee, at both Harvard and Brandeis Universities as well as participated in a clinical project at Mass General Hospital. He has studied under Shifu Deli, the Grandmaster of Wing Chun Kung Fu in China. Mike’s teacher Master Yon Lee is a fourth generation disciple of the Tiger-Crane Style, receiving his training from Master Tang Kwok Wah, the Senior disciple of the Grandmaster Lam Jo. Susan is a retired Critical Care R.N., who realized the many benefits of wellness through yoga. The practice of yoga has been known to improve our quality of life – body, mind and spirit. There are many good feelings, those of improved health, strength, and flexibility. Knowing these things to be true has made yoga essential to Susan’s being. Susan chose to deepen her practice, so she studied and has become a Certified Yoga Teacher. She is continually studying, most recently for certification in Yoga Therapy. She has been an instructor in various facilities, including Harmon Golf and Fitness in Rockland, and now has a small studio where she teaches at the Rockland Golf Course. 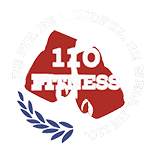 Susan is excited to join the 110 Fitness team! She is also a Reiki practitioner. Susan has been practicing yoga for over 10 years. 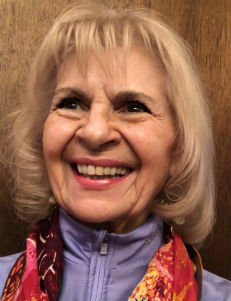 After retirement from a 45 year Nursing career, she worked in Randolph Public Elementary Schools as a 1:1 caregiver to a special needs child with a tracheostomy. He was provided with many specialists by the school and Susan, as his nurse. Over a period of 2 1/2 years, he progressed from a nonverbal, barely communicative, physically debilitated child in preschool to a fully active, fully able bodied, fully communicative child who mainstreamed to first grade. Without the tracheostomy! Yoga was helpful to calm his breathing throughout his and Susan’s time together, including post-surgery, so his congestion could be cleared and his lungs filled with air. The gentle stretching and movements of yoga were tremendously helpful on his journey toward wellness. Susan also uses yoga to assist cancer survivors through their pre and post surgical procedures. Susan’s gentle teaching style is geared toward beginner and intermediate adults of all ages. Provisions are made for a quiet, gentle, safe environment. Being a Senior Citizen herself, she realizes the challenges of an aging body and the importance of maintaining wellness. One of Susan’s favorite quotes is by Mother Teresa of Calcutta, “I can do things you cannot. You can do things I cannot. Together we can do great things”. 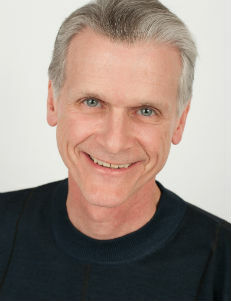 Paul Russell Wybieracki has over 35 years of experience teaching Ballroom & Latin dance. 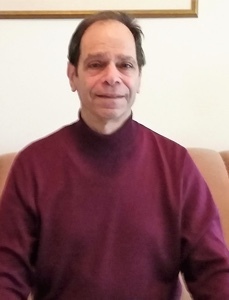 In addition to teaching for the Arthur Murray & Fred Astaire Dance Studio chains, he is the former owner of In Step Dance Center of Quincy & Hingham. Paul has danced professionally at major competitions across the Unites States as well as competing with his students in pro/am categories where they received many top student awards. In addition to teaching Ballroom & Latin, he is a ACE certified personal trainer and AFAA certified group exercise instructor with specialties in Pilates, TRX, Aqua Fitness, Autism Fitness, Drums Alive & ZUMBA.